Susanna Schrafstetter is Associate Professor of History at the University of Vermont. She is the author of two books about the history of nuclear non-proliferation, and has recently published Flucht und Versteck, a book about fugitive Jews in Munich and Bavaria during World War Two. Alan E. Steinweis is the Miller Distinguished Professor of Holocaust Studies and director of the Miller Center for Holocaust Studies at the University of Vermont. 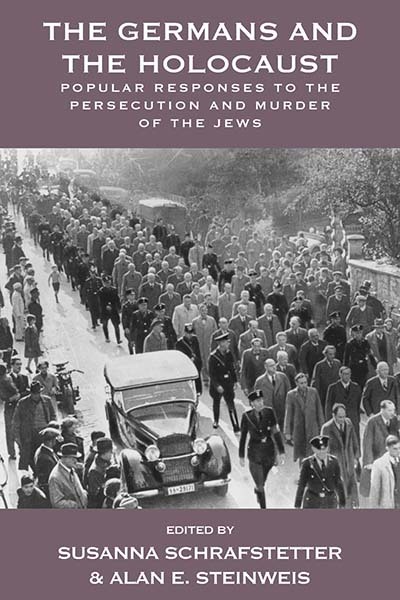 His books include Studying the Jew: Scholarly Antisemitism in Nazi Germany and Kristallnacht 1938. Chapter 1. Antisemitism in Germany, 1890-1933: How Popular Was It? Chapter 4. Babi Yar, but not Auschwitz: What Did Germans Know about the Final Solution?